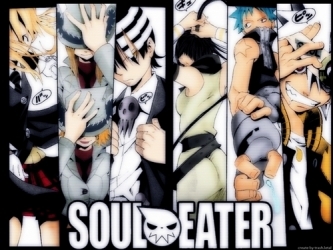 Soul Eater centers around meisters and their weapons and their mission to collect 99 evil souls and 1 witch soul. Upon doing that the meister's weapons will become a Deathscythe, which is the highest title for a weapon. 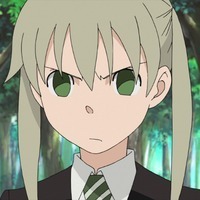 Maka, Soul Eater, Black Star, Tsubaki, Death the Kid, Patty and Liz Thompson are students of Shibusen that defend Death City from some of the most powerful of creatures. 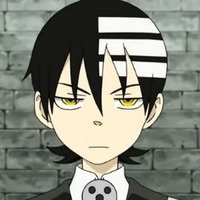 The show had 1 season and 51 episodes air between 2008 and 2009. ▼ Episode 51 - The Word Is Bravery! 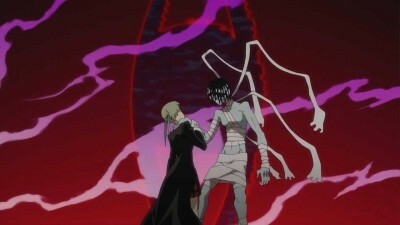 With her friends fallen, Maka must find the strength to face the Kishin alone. The world is in jeopardy and evil is poised for certain victory - until something stirs deep inside the young Meister's heart. ▶ Episode 50 - Sink or Swim?! The Men who Transcend the Gods? ▶ Episode 49 - Asura Wakes - To the End of the World? ▶ Episode 48 - Lord Death Brandishes a Death Scythe: Just One Step from Utter Darkness? ▶ Episode 47 - The Miraculous Coffee Table Flip - Fly, Our Death City Robot? ▶ Episode 46 - Warrior or Slaughterer? 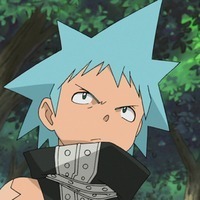 Showdown: Mifune vs. Black Star? ▶ Episode 45 - Anti-Magic Wavelength - Fierce Attack, the Anger-Filled Genie Hunter? 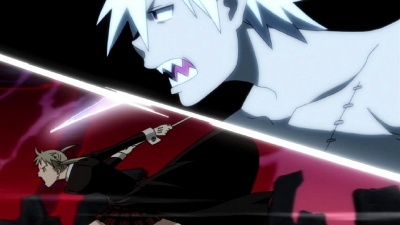 ▶ Episode 44 - Weakling Crona's Determination - For You, for Always Being by My Side? ▶ Episode 43 - The Last Magic Tool - Mission Impossible for Unarmed Kid? ▶ Episode 42 - Charge Baba Yaga's Castle! Things are Kind of Gloomy? ▶ Episode 41 - Twirl 'Round and 'Round - A New World in Which the Doc Dances? ▶ Episode 40 - The Cards are Cut - Medusa Surrenders to the DWMA? 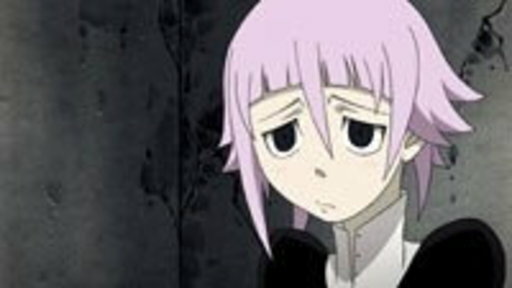 ▶ Episode 39 - Crona's Escape - Show Me Your Smile, Please? 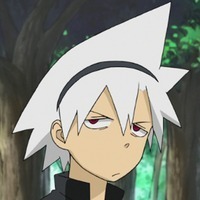 ▶ Episode 38 - Asura's Temptation: The Big Man's Uncontrollable Irritation? ▶ Episode 37 - The Detective's First Case - Kid Exposes the DWMA's Secret? ▶ Episode 36 - Unleash the Seven's Resonance Link! a Recital of Destruction and Creation? ▶ Episode 35 - Mosquito's Storm! Ten Minutes to Fight in the World of the Past? ▶ Episode 34 - The Battle for Brew - Clash: the DWMA Vs. Arachnophobia? ▶ Episode 33 - Resonance Link - Play the Melody of the Souls? ▶ Episode 32 - Legend of the Holy Sword 3 - the Academy Gang Leader's Tale? ▶ Episode 31 - Drying Happiness! Whose Tears Sparkle in the Moonlight? ▶ Episode 30 - The Red Hot Runaway Express - a Magic Tool Left Behind by the Great Wizard? ▶ Episode 29 - Medusa's Revival! a Spider and Snake's Fateful Reunion? 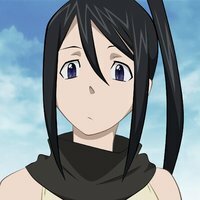 ▶ Episode 28 - The Sword God Rises - Does it Have a Sweet or Salty Taste? ▶ Episode 27 - 800 Years of Bloodlust - Advent of the Heretic Witch? ▶ Episode 25 - The Death Scythes Convene - Stop Dad's Staff Reassignment! ?